polka & bloom: New ebook coming soon! 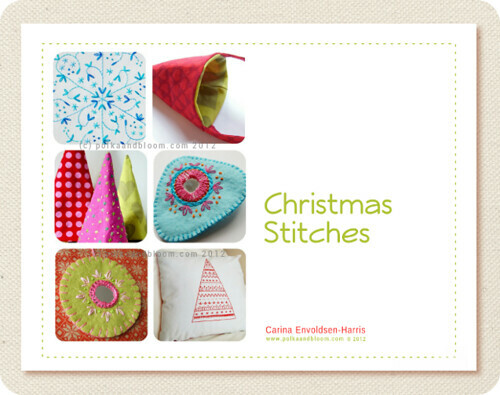 The last couple of years I've taught a class called Christmas Stitches, it will very soon be available as an ebook! Some time next week, hooray! And if you're a subscriber to the Polka & Bloom newsletter you'll even get a nice discount on the ebook. I think I missed meeting you at the weekend Carina... (slaps forehead), can't believe it!! Your Christmas book looks lovely! Maybe next time.. if it's in London again..!